The 2017 Kia Sorento safety rating is complete, and it’s a stellar achievement. The 2017 Sorento has earned the highest possible honors from the Insurance Institute of Highway Safety (IIHS) – Top Safety Pick Plus – when equipped with optional front crash protection. This one of the many reasons why this best-selling CUV is the perfect choice for families. What does it take to get a Top Safety Pick Plus rating? Every year, the IIHS conducts tests to see how well vehicles protect drivers and passengers in a crash. Five tests are performed – front impact with small overlap, front impact with moderate overlap, side impact, head restraints, and roof strength. Vehicles must earn “good” ratings in each of these tests. The IIHS also rates vehicles on how well they prevent front crashes with systems for alerting the driver and automatically braking. Vehicles must earn an “advanced” or “superior” score for front crash prevention. The Top Safety Pick Plus designation is important because it lets consumers know which vehicles are the safest within each category, regardless of size and weight. 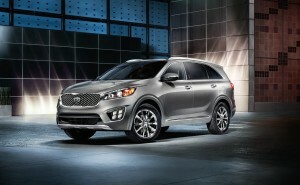 Kia’s commitment to safety shines through the entire lineup, and the Sorento is no exception. 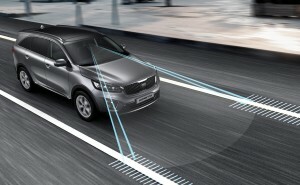 The 2017 Sorento offers newly available driver assistance features, including Autonomous Emergency Braking to intervene if a front collision is imminent and HID headlights with Dynamic Bending Light technology. Traction Control and Electronic Stability Control come standard, helping make driving more precise and stable. Hill Assist Control, Brake Assist System, and an extensive airbag system are also standard. 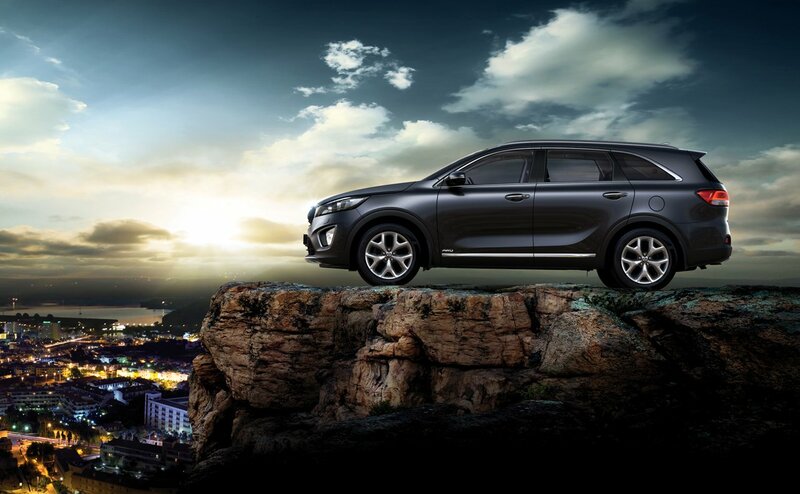 Add in the fact that the body is reinforced with 53% advanced high-strength steel, and the Sorento is built for keeping occupants safe and sound. Other advanced technologies like Lane Departure Warning System, Advanced Smart Cruise Control, Rear Cross Traffic Alert, and Blind Spot Detection are options to help you drive smarter and with more awareness. The 2017 Kia Sorento safety rating is one of the many reasons families love this CUV. At Jeffrey Kia, our highly-trained sales and support staff would love to show you the Sorento and how all its safety technology works in real life.